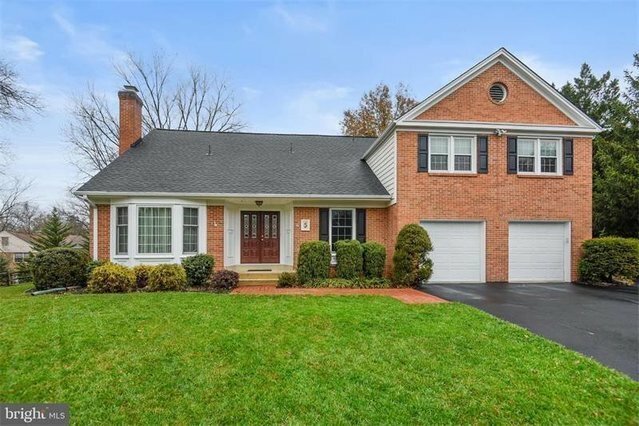 We invite you to tour this gorgeous, brick, Queen Anne colonial built by Kettler Brothers on a quiet cul-de-sac in sought-after Copenhaver. The custom, stained-glass-adorned front doors and large, open foyer provide a preview of what's to come - three levels of class and luxury. The kitchen, breakfast area, and butler's pantry are the heart of this house! Watkins custom cabinetry, stainless steel appliances, granite countertops, and pendant lighting accessorize this incredible, must-see space that includes hardwood floors, large island with flat cooktop and storage, built-in desk, space for a table of 6, an extra sink and refrigerator, and access to the back patio. Enjoy a cozy fire in the formal dining room or family room. Work from home in the main-level office. Watch the flat screen as you cook a meal. Dine al fresco on the patio.Upstairs are five bedrooms with ceiling fans and hardwood floors. The owner's suite includes a sitting room, large walk-in closet, vanity area, and beautifully updated master bath. One of the bedrooms provides access to a large rooftop storage area for off-season items.The finished lower level has a huge rec room, full bath, wet bar with extra fridge, game area, workshop, washer/dryer, and abundant storage space.All of this, plus an excellent location near award-winning schools, Copenhaver Park, Park Potomac, Cabin John Village, and 270, should put this home at the top of your list! Ready to buy?